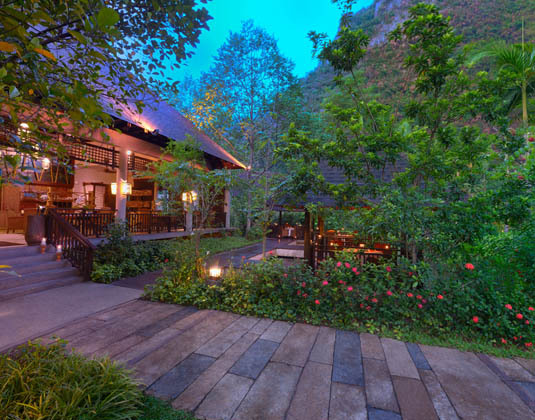 This sumptuous retreat nestles within a 19 acre valley cradled by towering hills, lush rainforest and rejuvenating geothermal hot springs while just 15 minutes drive from Ipoh. 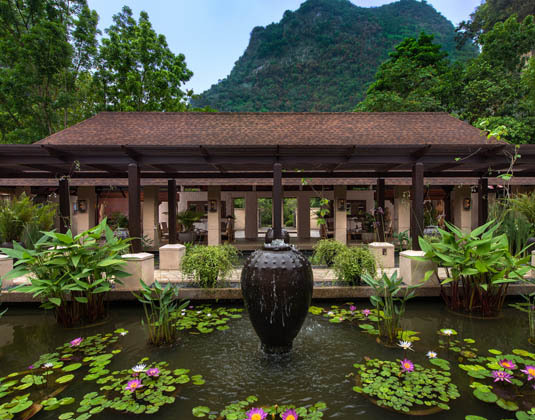 Experience the true inherent Asian philosophy of wellness with a choice of over 40 holistic treatments and therapies for the full relaxation of body and rejuvenation of the mind. 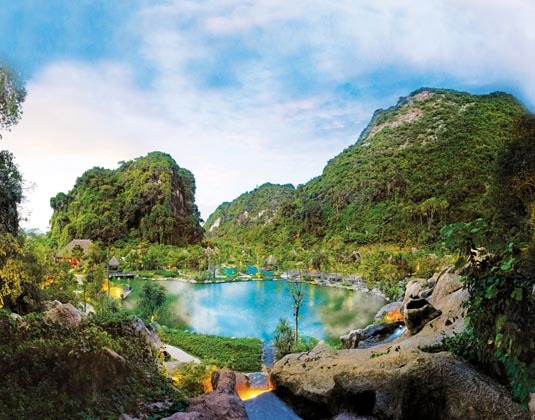 Enjoy a relaxing soak in the natural dipping pools, seek solace in the thermal steam cave or plunge into the freezing ice bath; focus your mind in the meditation cave or restore balance in the crystal cave. 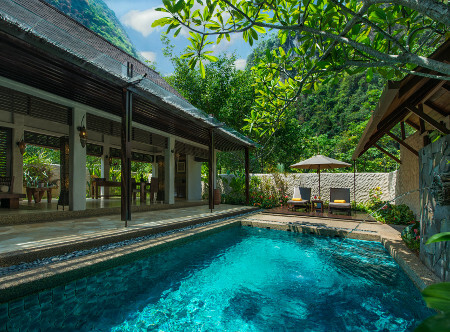 The many elements of nature can also be appreciated from the comfort of your villa, set within either a secluded tropical garden or on the banks of a canal. 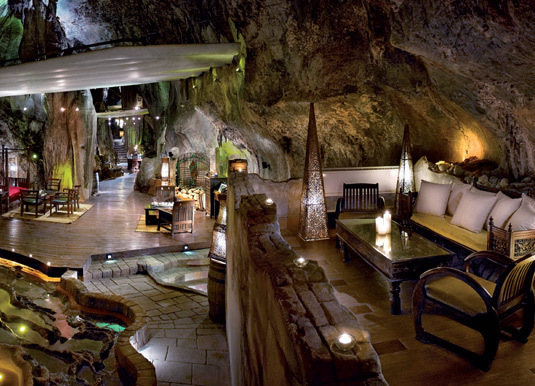 The all-day restaurant features flavourful yet healthy dining, while the magnificent wine bar, Jeff's Cellar, is uniquely set within a limestone cave. 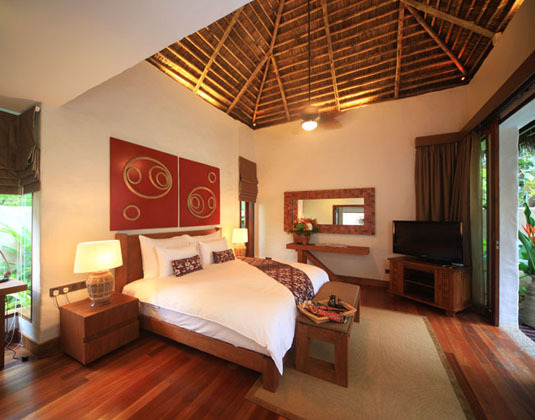 In lake villas with master suite with king bed, living and dining area and terrace with private plunge pool. 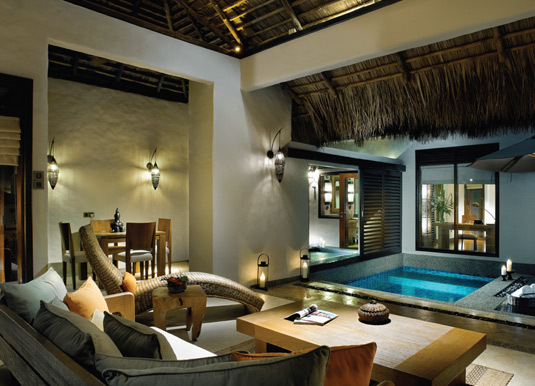 Water villas with outdoor shower, larger garden villas. 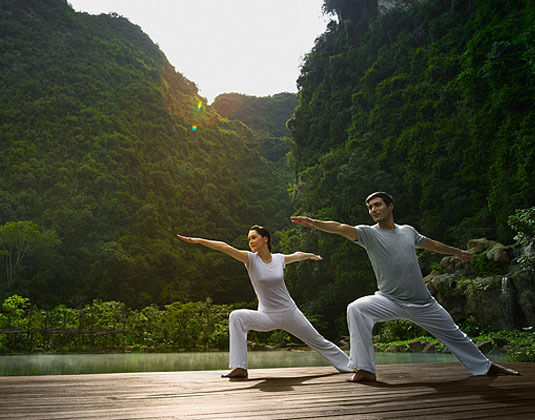 2 hours by road from Kuala Lumpur or 2 1/2 hours by road from Penang. 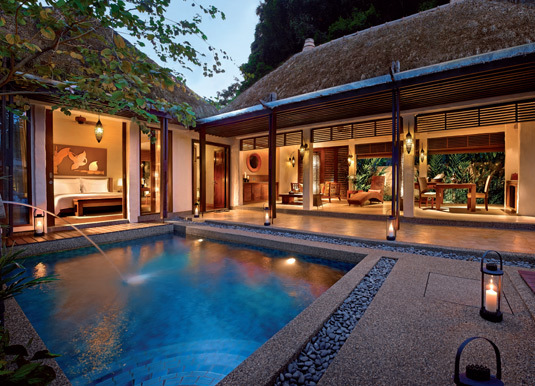 01 Apr 19-31 Mar 20 if you stay at least 5 nights, subject to availability.